Applicable for home appliance and automobile harness processing. accuracy and long life of the whole machine. Adopt Japanese SMC pneumatic elements, high reliability. Touch man-machine graphics operation, visualized and concise. Adopt Japanese YOKOGAWA high-performance programmable controlling technology as well as servo and frequency conversion controlling. 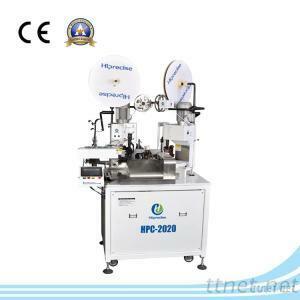 The machine is stable, reliable and excellent processing. The frequency conversion controls terminal crimping machine to accomplish power saving and low noise.